To encourage, initiate and facilitate an enriched artistic, cultural and creative environment in Michigan. This Mission Statement has never been more important. It clearly frames the purposes of the Council as part of the broader environment in Michigan that strives to reinvent the State. This Mission Statement recognizes the need for a strong creative sector in our State that is fully engaged with many of Michigan’s other key sectors including industry, healthcare, education and tourism. 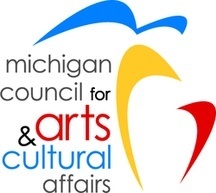 As State government’s lead agency charged with developing arts and culture policy and grant-making, MCACA recognizes the need for, and seeks out, a wide variety of public and private sector partners to help fulfill this mission. Our partners provide needed services to the field through collective knowledge, expertise and genuine care for the mission of the Council and the fulfillment of our collective goals. Furthermore, the Council works to fulfill its mission by serving as champions, advocates and a point of connection and coordination for the field with legislative, corporate and other leaders with an interest in seeing the mission of MCACA fulfilled. The Council also seeks out those other champions, inside and outside the halls of government, in order to give voice to all concerned and to better achieve the Council’s mandate and mission. 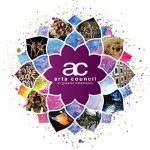 Lastly, the Council serves to advise the Governor concerning the various ways that the arts and support for the arts can integrate with gubernatorial policies and goals, especially in connection with economic development, place-making and education initiatives. MCACA is guided by a set of values that serve to strengthen the Council’s commitment to facilitating the delivery of quality services to people and communities statewide. We use these values help to keep our focus on our mission.